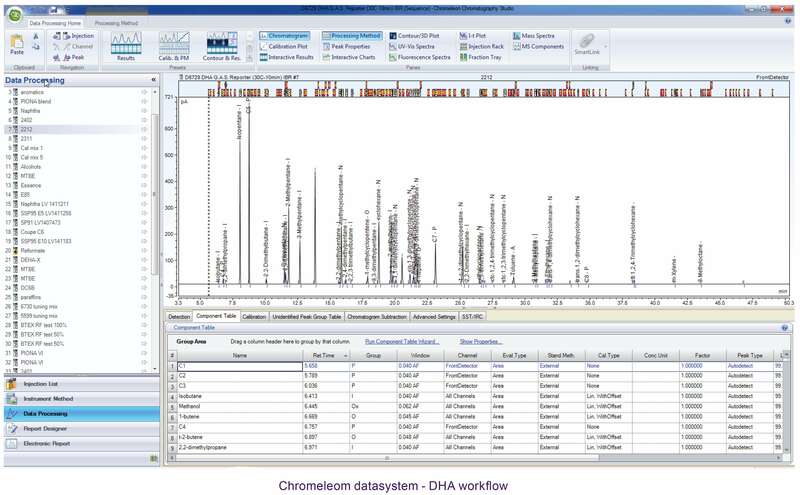 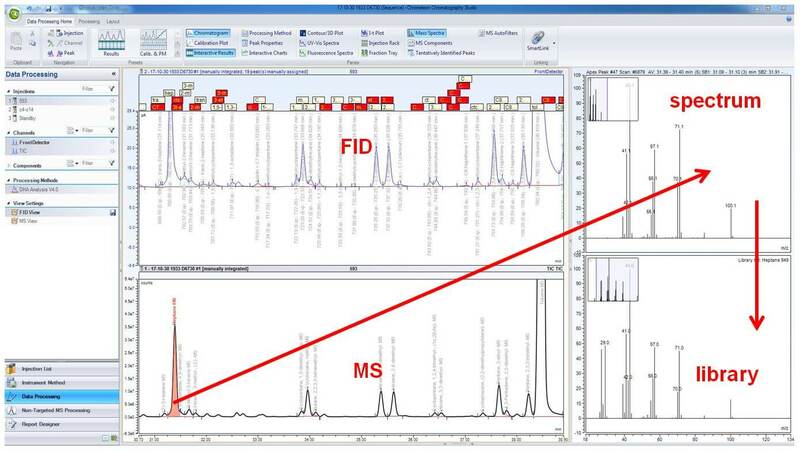 Chromeleon provides simultaneous FID and mass spectrometer data handling in a single window. 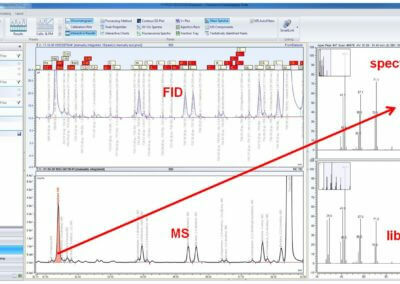 Quantitation and DHA reporting are based on FID (as required by the standardised methods), while mass spectra offer great improvement in component identification, and therefore highly reliable results. 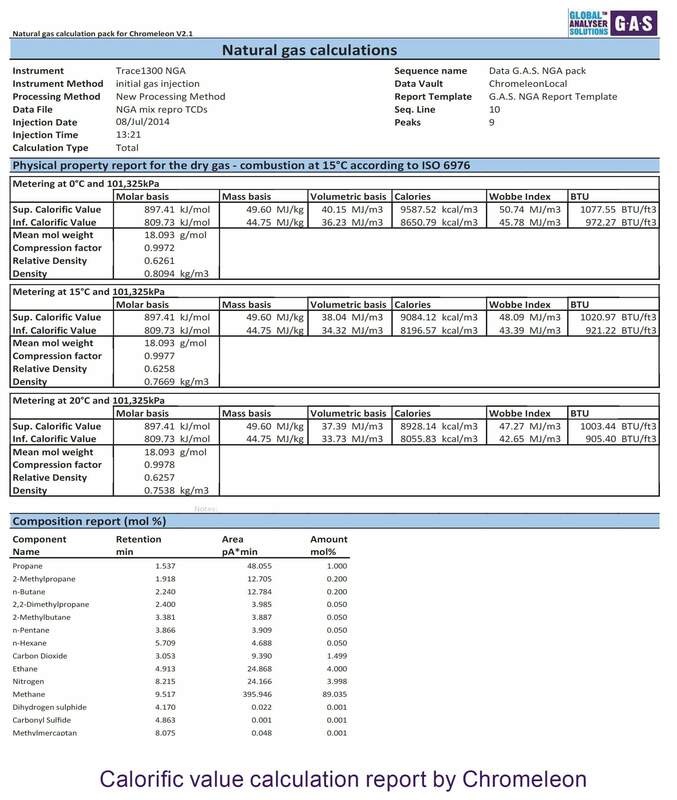 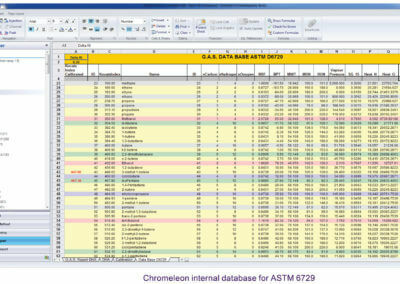 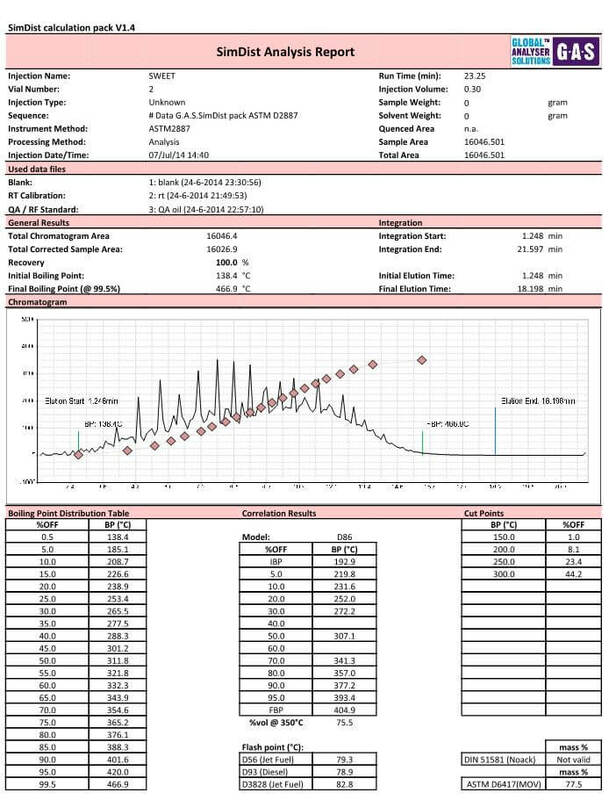 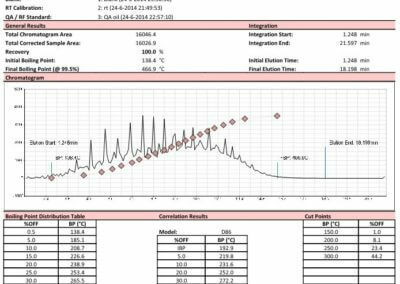 For best ease of use, MS and FID chromatograms are exactly aligned, see the example. 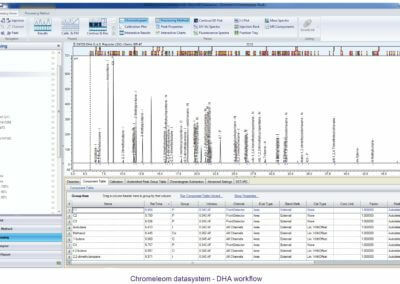 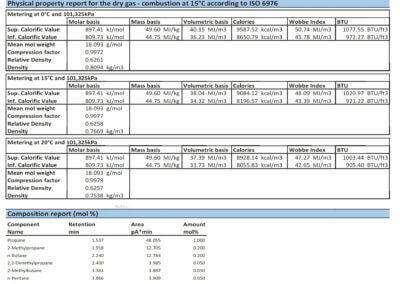 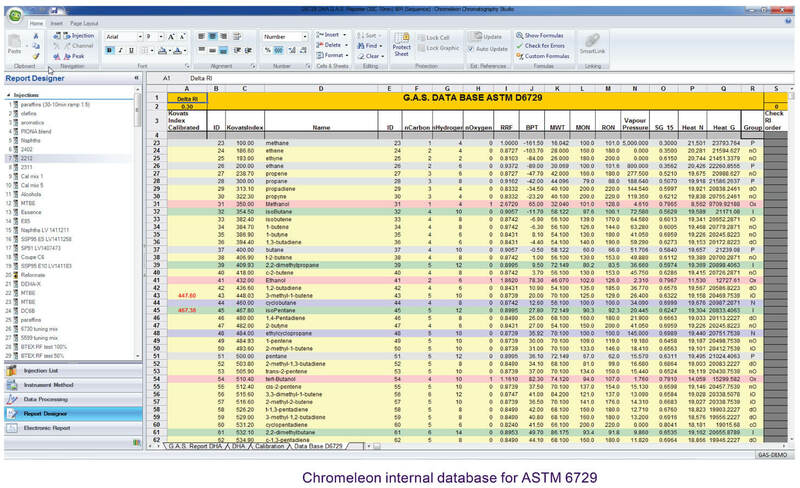 Since DHA calculations are integrated in Chromeleon, a reliable and user-friendly ‘triple’ workflow -FID/MS/DHA- is offered by GAS.